Although houses built 20 or 30 years ago may not have the technological bells and whistles and energy efficiencies of today’s homes, there are some key elements to those older homes that have stood the test of time — making them just as desirable as homes built today. Perhaps it was the style of the home, the location or how they were marketed that really appealed to the buyer of the day. Whatever the strategy, there were developments back then that the builders are immensely proud of to this day. And for some, it changed the way they build and market homes today. 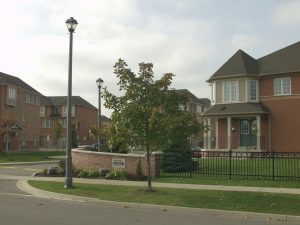 That’s the case for Losani Homes in Stoney Creek. 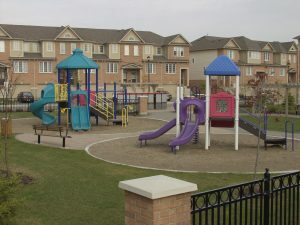 Construction on Highland Gardens in upper Stoney Creek began in 1989 and was the first large-format development for Losani Homes. 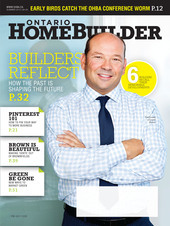 So began the journey to becoming one of, if not the, largest builder in the Hamilton area. Not only was the size of the development the largest the company had taken on, but the design and style of the homes were a departure from what anyone else was doing. Travel to Arizona and California had exposed Fred Losani to an exciting style — an open concept inside the home that made a small house look larger than it really was. Rounded drywall corners and vaulted ceilings were features that were foreign to what Losani had been accustomed to building. Losani brought that southwest style to Highland Gardens which resulted in winning two OHBA design awards in 1992 and fostered a design approach that continues today. Losani says the challenge was convincing the trades to break away from building boxes and taking the time and skill to incorporate the features he believed would set his company apart. They balked at first, he says, but it was the recession and they eventually cooperated. When the market rebounded, Losani Homes had learned how to build better homes efficiently, how to differentiate itself as a builder and market its homes more effectively. “This was a major gamble for us. It pushed the limits of our company and changed the way we ran as a company,” Losani says today. 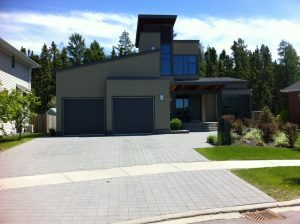 Another builder who bucked the trend and did something different was Peter Saturno of Midhaven Homes in Durham. He’s particularly proud of the 37 lots he developed in Conlin Woods in 1987-88. Other builders were jumping on the demand for larger two-storey homes and telling Saturno he would be wise to do the same. He ignored that advice and built bungalows. But he went ahead and built 3,000-square-foot bungalows and they sold out quickly. “I wished we had more of those lots. I didn’t push it because of what everyone was telling me — but I could have sold many more.” The lesson was to pay attention to consumer trends and deliver something they want or that will excite them. Looking back, Saturno surmises that there was a wave of buyers who grew up in bungalows, so there was a comfort factor. The difference was, they were raised in an 800- to 1,000-square-foot bungalow, but what they were in the market for was something three times larger and with all the latest amenities and features. “You didn’t consider the empty-nester back then, but it’s come back around and the appeal is again for one-floor plans and large porches. Back then, we built smaller porches because homeowners were spending more time in their backyards. Today they want to reconnect with their neighbours, so we’re back to building large porches. “There again — it’s a desire to get back to simpler times when you knew what was happening on the street and you knew your neighbours,” Saturno says. Keeping an eye on what’s driving the market presented huge opportunities in a small market, says Chris Kelos of Kelos Homes in Thunder Bay. He got his start in the building industry in 1988 with his father-in-law’s company, River Terrace Homes. It was that same year that they broke away from building affordably priced homes and leapt into the high-end market. At the time, a new hospital and the expansion of Lakehead University were attracting professionals with money. 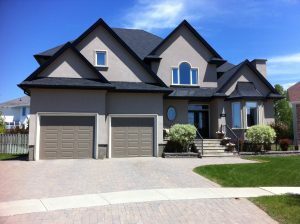 River Terrace began building the most expensive homes Thunder Bay had seen and was successful in capturing this influx of doctors, professors and other professionals. The homes were all large single-family homes — no duplexes or townhomes. 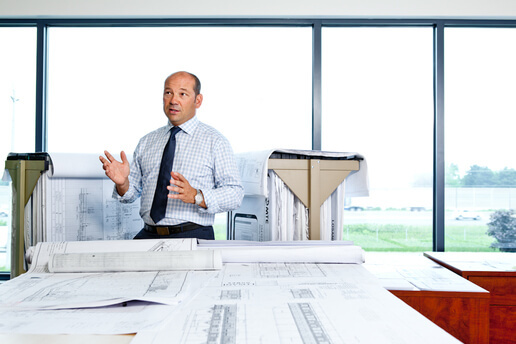 They were careful to create a development where the homes would appreciate in price and would hold their value over time — a strategy that has made the area the most desirable even to this day, Kelos explains. Building homes that will retain their value, or increase, is critical, Kelos advises, adding that this creates higher demand which results in a higher selling price for the builder. So today, he has gone back to small and mid-sized homes because that’s where the market is. 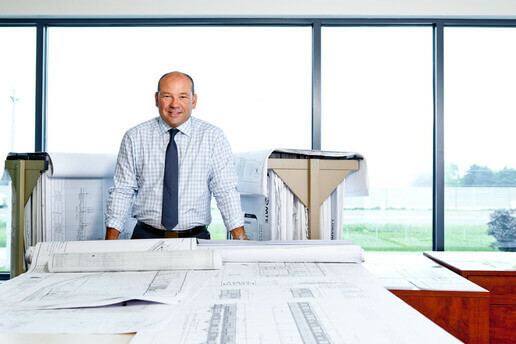 John Latimer, former president of Monarch Corporation, had just started with the Toronto-based company in 1979 when it was ready to build Bridle Trail in Unionville. This development had taken more than a decade to get off the ground, primarily because there was no sewage capacity in the village for the planned development. The announcement of the Big Pipe that would take sewage to a treatment plant in Pickering and the opening of Highway 404 changed all that. Now every developer was scrambling to grab a piece of this hot property. Bridle Trail was playing on the popularity of Bridle Path and introduced country estate living. The plan, Latimer says, was to have equestrian trails throughout the development. The influx of car traffic however, made the concept a safety issue and so it died on the planning table. The firm’s Villages at Century City in Mississauga that began in 1992 is an example of community building, and a standard that defines the company today, says president Hugh Heron. Gating the community and building a park that was beyond what was required created a village feel and established Heathwood as a community builder, he says. Each phase was designed as an individual village, each with its own name and style, albeit complementary to the entire development. 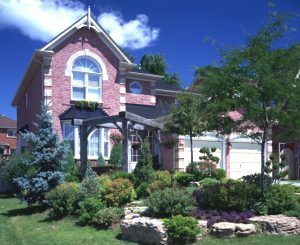 This Disney-like format created an interesting and small community environment that immediately struck a chord with buyers looking for a quaint and quiet setting in the centre of a cosmopolitan city like Mississauga. While these are examples of production builders who are developing communities from scratch, what about those who are building in existing urban centres — the builders who specialize in infill? One of the pioneers is Terry Kaufman of Josh Construction who has been building infill in Toronto for decades. The area he’s particularly proud of is Avenue and Lawrence Roads where he has built more than 200 homes, beginning with his first in that area in 1983. It was all about price and location, Kaufman explains, adding that the area had all the necessary amenities and was close to public transit so families could cut back to one car. After all is said and done, the builders agreed there’s one main ingredient when it comes to creating lasting communities. The key is building more than just a house; it’s all about building a home.